Azure DevOps lovers, you are at the right place! 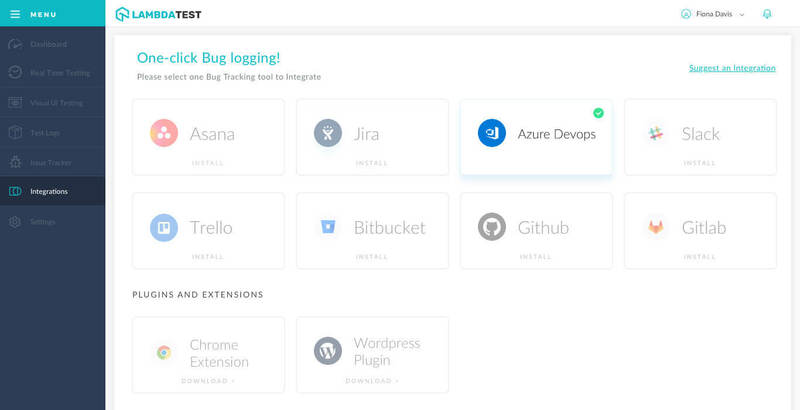 You will love LambdaTest's integration with Azure DevOps. With LambdaTest-Azure DevOps integration, you can share issues to Azure DevOps account directly from LambdaTest platform. And you can do it with a single click!! Instantly create new issue, question, help in Azure DevOps from LambdaTest itself. You can choose all details like Projects, Work type, title, repro steps, severity etc. LambdaTest automatically include testing environment information as well as add testing screenshots and videos as attachments in your commit.